You’ve no doubt heard the widely believed rumor that Apple will drop the 3.5mm headphone jack in its next iPhone. With Android devices such as the Moto Z already having abandoned the audio port, people are angry at companies trying to phase out the old standard - but Intel says its removal could be a good thing. Back in April, the chipmaker spoke about how it wants to replace the 3.5mm jack with USB Type-C. And at the Intel Developer Forum in San Francisco earlier this week, Intel architects Brad Saunders and Rahman Ismail discussed the upcoming new USB-C audio standard, reports CNET. Sanders said that one of the main benefits of removing the jack is the space it will free up inside phones, allowing them to become slimmer. Additionally, the analog circuitry it uses can interfere with other electronics inside a device. The use of digital audio could allow sound-processing options usually only available with expensive headphones, such as noise canceling, “concert hall” reverb, and bass boosting. "All of those come into play if audio is in a digital domain," Saunders said. The effect replacing the 3.5mm jack will have on battery life has been a concern. But the revised specifications for USB-C support power management capabilities that allow it to disable features that aren’t in use, such as the microphone; this means "the difference in battery life is negligible." The updated spec will also be able to handle video. Ismail said that while it’s not an HDMI replacement and won’t be suitable for gaming, "it's good enough to do productivity work or watch movies.” As it supports multiple connections, you can use a USB hub to plug several devices into a single USB-C port, and the updated standard includes device authentication to improve security. 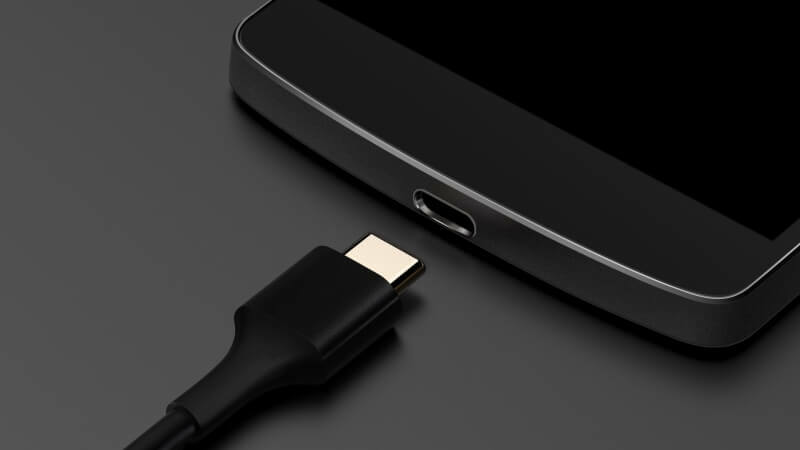 The combination of features “will really make USB Type-C the right connector for audio,” said Saunders.